It’s finally finally FINALLY summer, which means time for endless pool parties and celebrations. My birthday just happens to be at the very beginning of summer (may 29th), and this year I also graduated from high school, so there was a lot to celebrate. I was trying to figure out what I wanted to do to celebrate everything in the midst of tons of craziness. 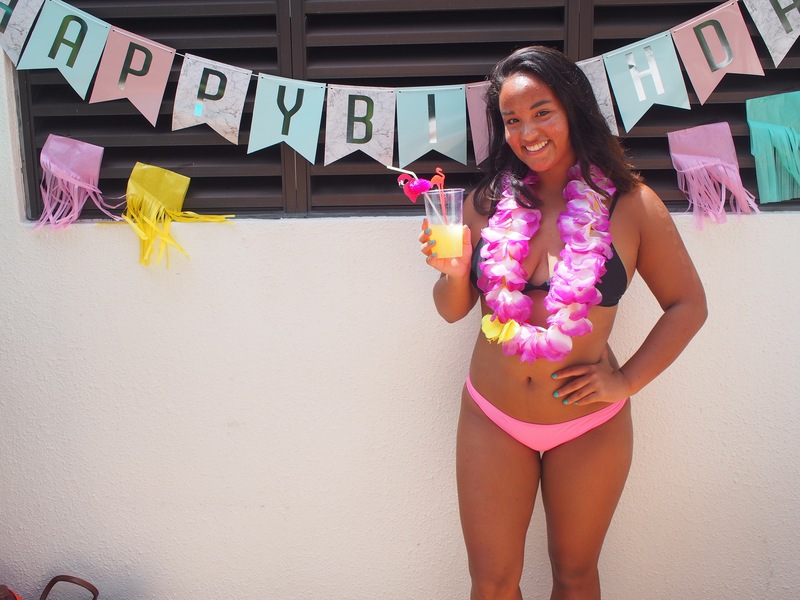 Anyone who knows me knows that I’m in love with anything tropical, pineapple, or beach themed, so I thought that a luau party would be the perfect fit. I also decided to have my party during the day because we all want to be super tanned during the summer…don’t we? 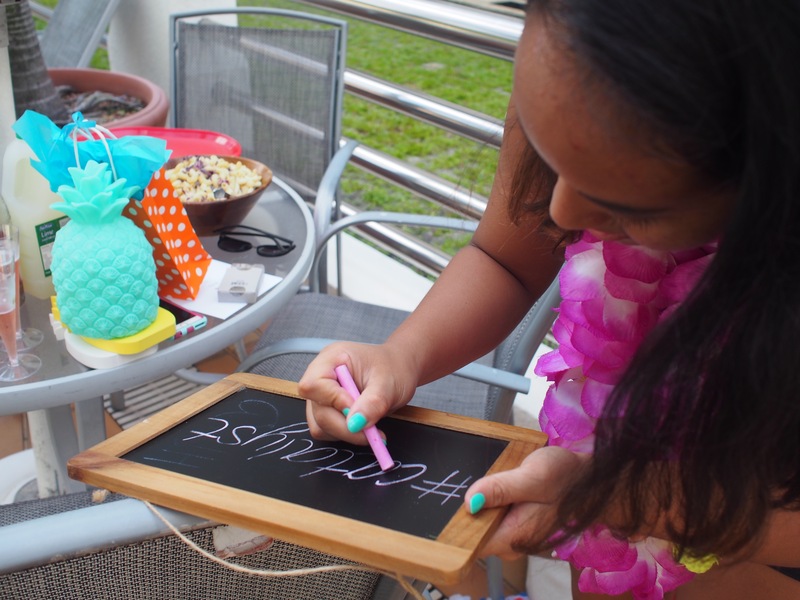 Are you planning on having a pool party/luau party anytime soon and are looking for some inspiration? Here is exactly what I did to throw mine and how you can plan yours! I’ll also link all the stores I bought from below. Like I said, I’m obsessed with anything tropical (especially pineapples), so I already had tons of decorations. I used wood pineapple cutouts in multiple colors, a blue pineapple lamp, a “welcome to paradise” sign, and tons and tons of leis. 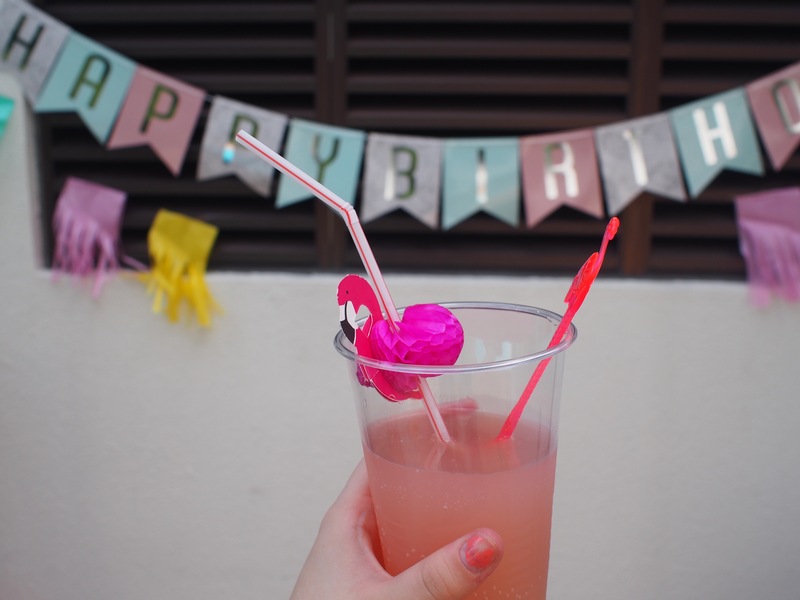 I also had these pastel colored paper streamers that I hung up around a super cute “happy birthday” banner. For the cutlery, I found orange and pink flamingo stirrers from Flying Tiger in Tokyo, as well as some flamingo straws. Of course my parties have to include lot’s of good food, but since it was brunch, I kept it fairly light. We have cut watermelon and grapes, mini egg frittatas with lot’s of veggies, pasta salad, pineapple grilled chicken and of course funfetti cake (my favorite!!). The pineapple chicken was great and added another tropical layer to the party. To make it: marinate chicken breasts in pineapple juice, soy sauce, garlic, hot sauce and lime, then grill for 3 minutes on each side. For the drinks, we made mojitos and pineapple juice and malibu… and we had a bottle of rose. Tip: If you are having a party by the pool, avoid glass by getting plastic champagne glasses from the dollar store. Because I knew we were going to be taking lot’s of photos, I chose my outfit very carefully. I ended up going with my black Cotton On bikini top with my hot pink Hollister bottoms. And on top of that I wore my O’Neill high-waisted shorts with a blue-purple Brandy Melville crop top. My friends came dressed similarly with a lot of them wearing cute cover-ups or sun dresses. There was no way my party was happening without a DIY photo booth, so that’s exactly what I did. I found a blank wall by our pool and decked it out. We hung the “happy birthday” banner with the colorful streamers around it. 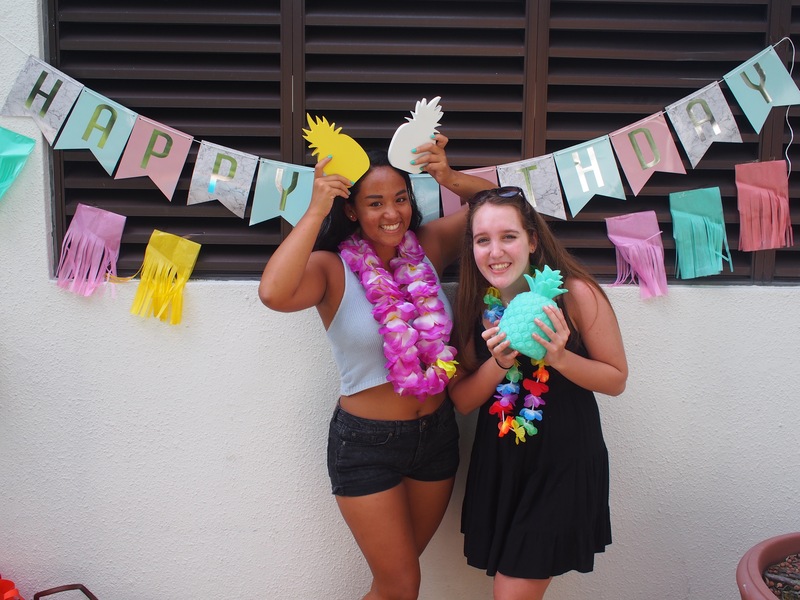 When taking pictures, we put on leis and used the pineapples and other decorations as props. I had also found a blackboard in my room, so I decided to use it. When each of my friends and I took a photo, we used the blackboard to write a word that described us or the way we first met. All of those photos turned out being really cute! If you’re planning on throwing a party or celebration soon, I highly suggest doing something like this! Here are all the links, and happy celebrating!